4-State Supply has prided itself on earning the reputation as the distributor of choice for mechanical and architectural insulation, green insulation products, and fire stopping and safety materials. 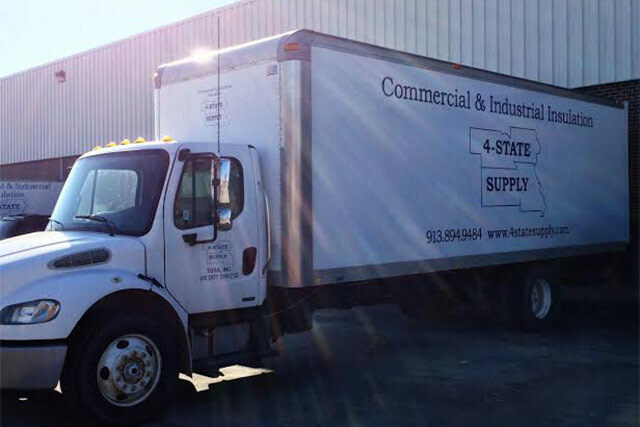 At 4-State Supply, we value our customer - offering responsive service, in-depth product knowledge and fast-reliable delivery. We have developed our expertise over more than 25 years in the business. Started in 1986, 4-State Supply has steadily grown into the consistent standard that it is known to be today. Sold in 2010 to a new management team, they have continued to invest and grow the business with a strong emphasis on customer service and being a solutions provider to all they serve. They have recruited talent from all the fields of construction to create a team that can handle the many various tasks our clients bring to our table. We will continue to invest in top quality people, because our team is as important as the products that we sell, and it has made 4 State Supply the contractor's top choice in insulation.